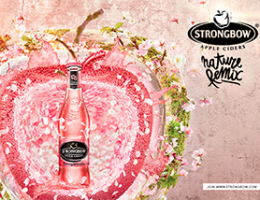 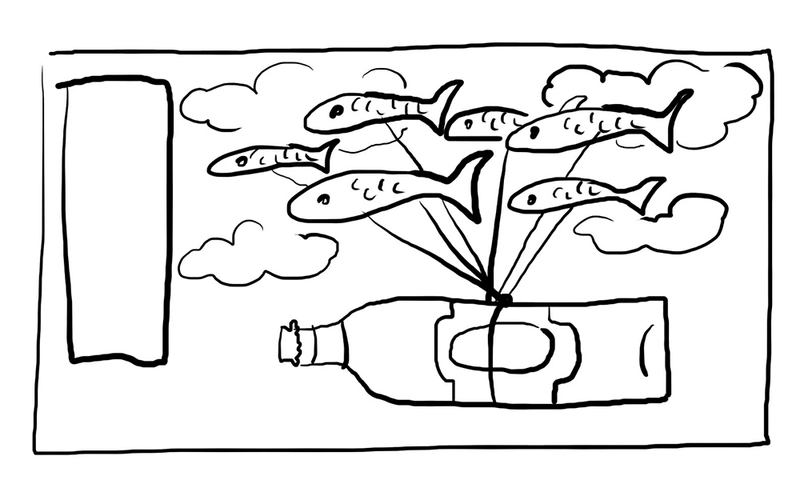 Creation for a beer and sardines ad. 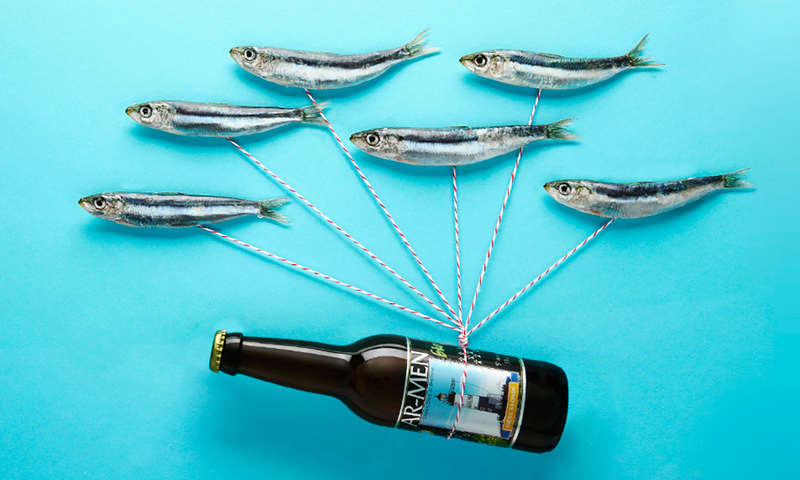 How to combine beers and sardines, a very tricky one ! 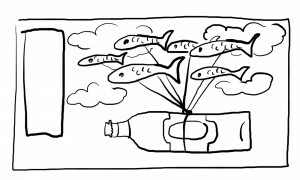 I decided to go for poetry with these flying fishes carrying a bottle of beer !